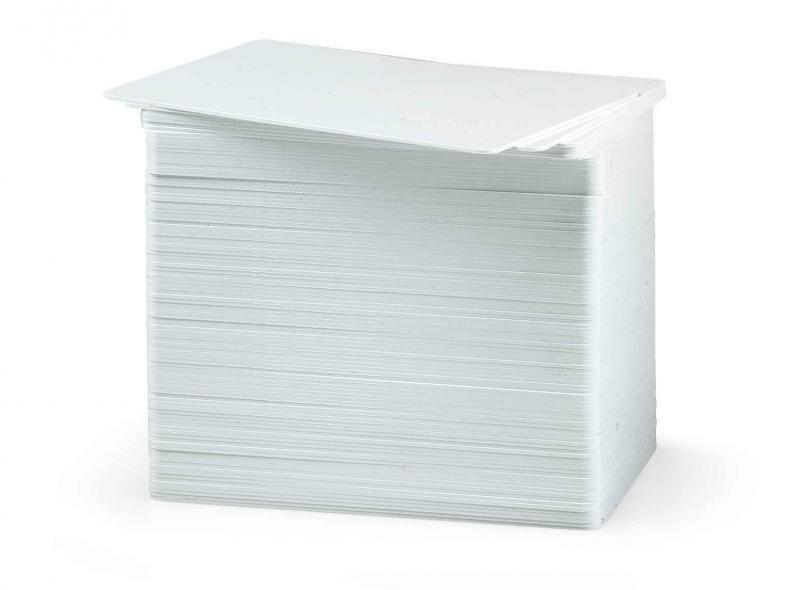 These cards are CR80 size with a 20 mil thickness. The CR80 card has the same measurements as a standard credit card, but differs in thickness. While most credit cards have a 30-mil thickness this card has a 20-mil thickness. This allows the card to be more flexible. These cards come in a box with 5 packages of 100 cards.